Any expenses such as telephone calls/ laundry/ the mini bar used in the room/ tips etc. Hotel pickups commence approximately 10 minutes prior to this time, exact pickup time will be advised on reconfirmation. We will meet you at the airport of Shiraz and transfer to the hotel. Depends on the time of arrival, in the afternoon. Overnight in Shiraz. We will be picked up you at the hotel and take you to one of the most interesting sightseeing in Shiraz, read more detail about that on the following. An excursion to Visit Persepolis & Passargadae. Founded in the 6th century BC in the heartland of the Persians (today the province of Fars in southwestern Iran), Pasargadae was the earliest capital of the Achaemenid Empire. 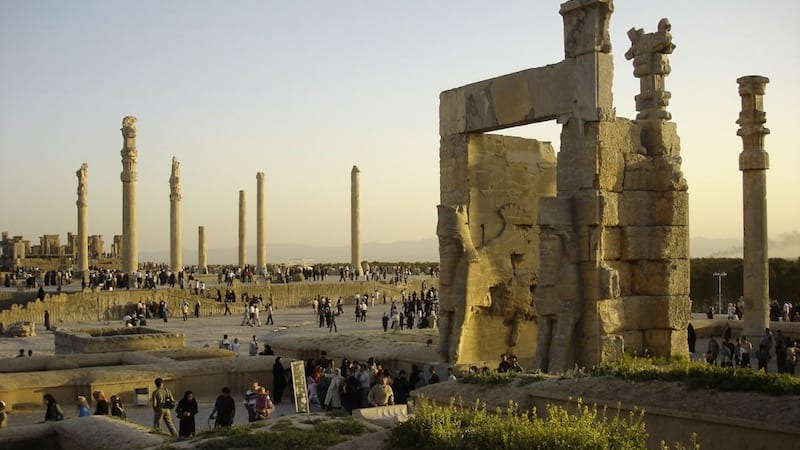 The city was created by Cyrus the Great with contributions from the different peoples who comprised the first great multicultural empire in Western Asia. 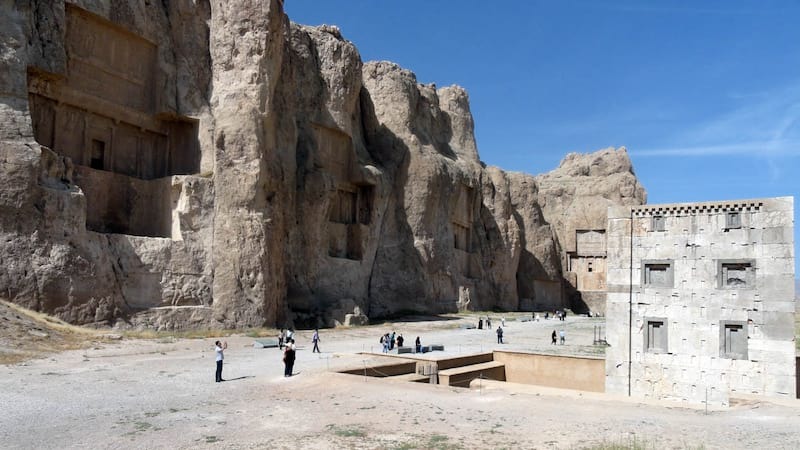 The archaeological remains of its palaces and garden layout, as well as the tomb of Cyrus, constitute an outstanding example of the first phase of the evolution of royal Achaemenid art and architecture, and an exceptional testimony to the Achaemenid civilization in Persia. The “Four Gardens” type of royal ensemble, which was created in Pasargadae, became a prototype for Western Asian architecture and design. NAQŠ-e ROSTAM, a perpendicular cliff wall on the southern nose of the Ḥosayn Kuh in Fārs, about 6 km northwest of Persepolis. The site is unusually rich in Achaemenid and Sasanian monuments, built or hewn out from the rock. 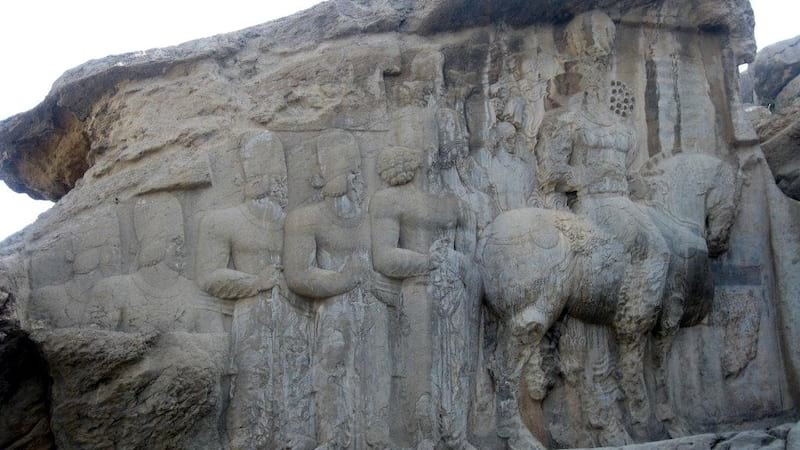 The Persian name “Pictures of Rostam” refers to the Sasanian reliefs on the cliff, believed to represent the deeds of Rostam. 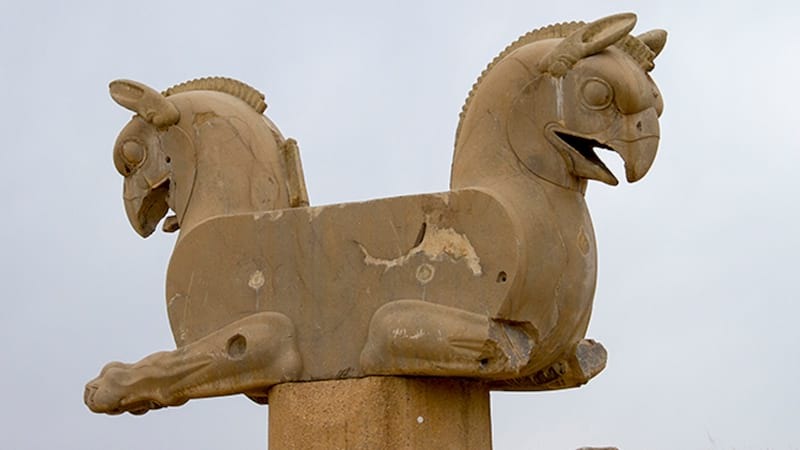 The archaeological site known as Naqš-e Rajab is just 3 kilometers north of the ruins of Persepolis, along the road to the Sasanian city Istakhr. 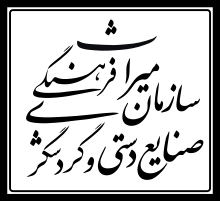 The name means something like 'The carvings of Rajab', and is a little joke about the nearby Naqš-i Rustam, the carvings of the great hero Rustam. Rajab was an inn-keeper. The site was also called Naqš-e Qahraman, 'Carvings of the heroes'. Overnight in Shiraz. All the day free, you can explore the culture, Overnight you will get the bus from Shiraz to Isfahan (489km) at midnight, in the next day morning in Isfahan. Transfer from Bus station to Hotel after breakfast and rest, you will be free to explore the city. Overnight Isfahan. After breakfast explore the city, the Tour guide will be accompanied you approx. 8 hours. The Meidan Emam is a public urban square in the center of Esfahan, a city located on the main north-south and east-west routes crossing central Iran. It is one of the largest city squares in the world and an outstanding example of Iranian and Islamic architecture. Built by the Safavid Shah Abbas I in the early 17th century, the square is bordered by two-storey arcades and anchored on each side by four magnificent buildings: to the east, the Sheikh Lotfallah Mosque; to the west, the pavilion of Ali Qapu; to the north, the portico of Qeyssariyeh; and to the south, the celebrated Royal Mosque. A homogenous urban ensemble built according to a unique, coherent, and harmonious plan, the Meidan Emam was the heart of the Safavid capital and is an exceptional urban realization. Chehel Sotoun (also Chehel Sotoon) is a pavilion in the middle of a park at the far end of a long pool, in Isfahan built by Shah Abbas II to be used for the Shah's entertainment and receptions. In this palace, Shah Abbas II and his successors would receive dignitaries and ambassadors, either on the terrace or in one of the stately reception halls. Once the most luxuriously decorated palace in Esfahan, the interior of the small Hasht Behesht Palace has been extensively damaged over the years, but it retains some spectacular details, including a superb stalactite ceiling with delicate painting. The same keyhole plasterwork seen in the Kakh-e Ali Qapu is featured on a small scale here too. The soaring wooden columns on the palace's open-sided terrace are almost as tall as those still growing in the parkland that frames it. A popular meeting place for retired Esfahani men, the park has a seductive tranquillity that offers the promise of peace in a city of pace. Overnight in Isfahan. Drive from Isfahan to Tehran through Kashan (447 Km), Visiting Kashan's highlights on the way. Designed for Shah Abbas I, the unrivaled Fin Garden in Kashan is renowned as being the very best of the Persian gardens; so much so it was recently added to the UNESCO World Heritage list. Tabatabaei’s Historical House is one of the patrician houses which is a symbol of significant Persian architecture. The beauty of the building gave it the title of “Bride of Houses. Build in the early 18th century, by the order for the affluent Tabatabaei family, the house represents the unique artistic taste of its architecture. This is another house worth being visited in Kashan and it is the famous Borujerdi House whose owner was a wealthy businessman of the city of Kashan. The story behind building this house is really interesting. The Ameri House also is known as 'Khan-e Ameriha' or house of the Ameri family is a historic house in Kashan. It was built during the Zand era for Agha 'Ameri, the governor of Kashan, who was responsible for maintaining the security of the route between Tehran and Kerman. This 500-year-old hammam is a glorious example of an Iranian bathhouse. A recent reparation has stripped away 17 layers of plaster (note the wall inside the second room) to reveal the original sarough, a type of plaster made of milk, egg white, soy flour and lime that is said to be stronger than cement. Richly colored tiles and delicate painting feature throughout, and a further highlight is the panorama of the town’s minarets and badgirs viewed from the roof. The mosque of ‘Agha Bozorg’ in Kashan is one of the best mosques in Iran. The historical mosque was built in the late 18th century & is famous for its precise, symmetric architecture & attractive appearance. 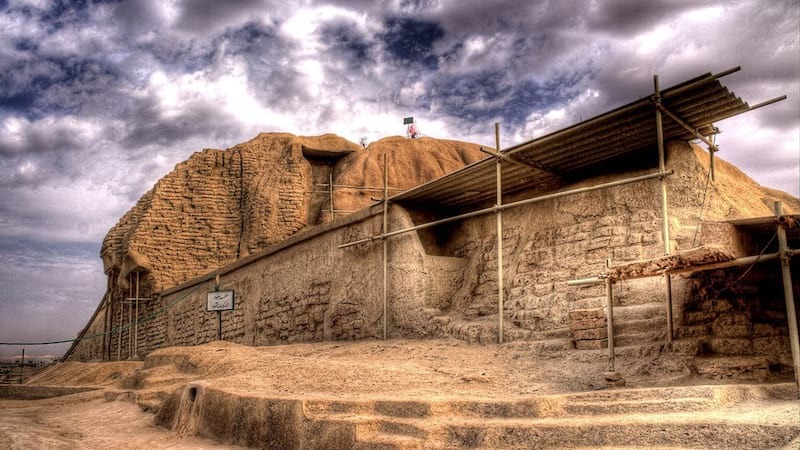 Sialk Hill, is the remains of an ancient city, with the world's oldest ziggurat in the world from 7500 years ago belonging to the Elamite civilization. The site is still under excavation. Based on archaeological investigations carried out by both the French and Iranian teams, 6 cultural periods were differentiated in ancient hills of Sialk. The remains of people who used to live there can be seen. In early 1933, some beautiful ceramic wares were appeared in Paris, which came from Sialk. Overnight Tehran. 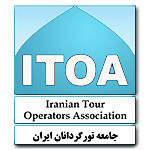 Full day, sightseeing tour in Tehran. At early morning we'll transfer you to the Imam Khomeini Intl. Airport. You'll fly back home.